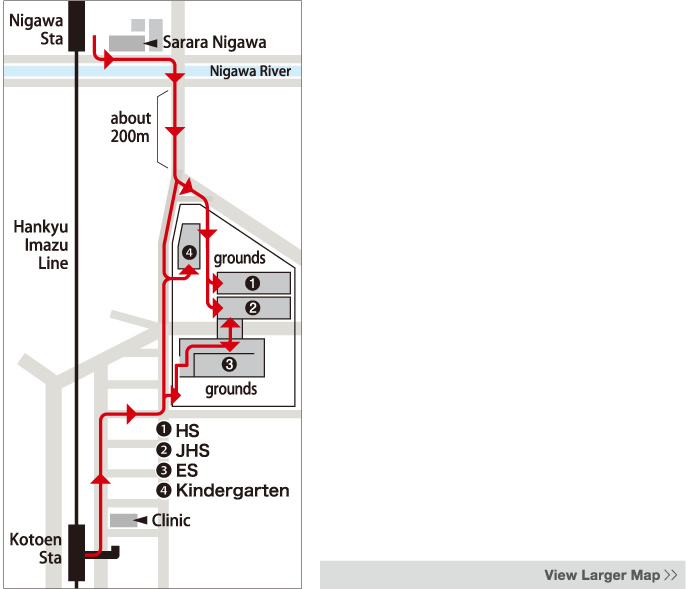 Cross the river and walk 200 meters south heading to Nishinomiya. You will be able to see the school bell tower. Walk north along the Hankyu train line heading to Takarazuka. You will be able to see the school bell tower in about 5 minutes. 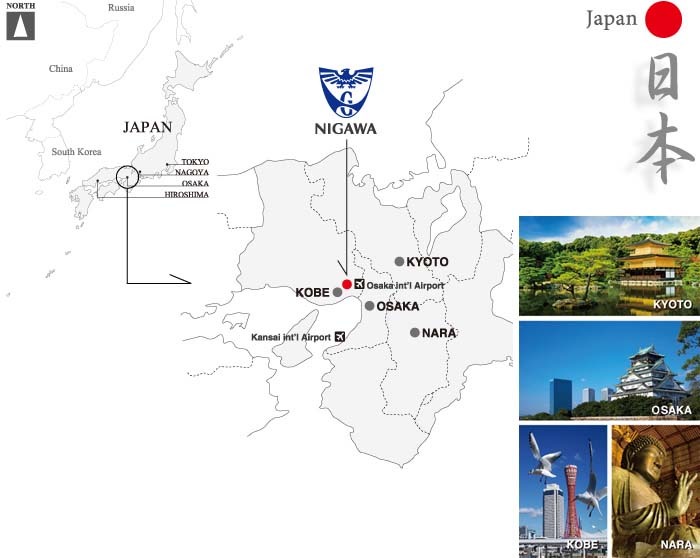 The school is approximately 30 minutes from Osaka Umeda and Kobe Sannomiya stations. 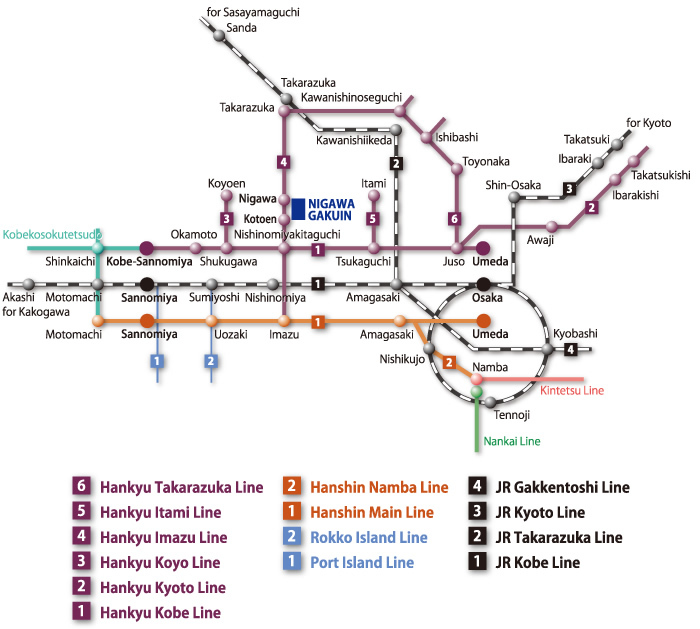 Please get off at either Kotoen or Nigawa on the Hankyu Imazu line.